The eastbound lanes of the Pennsylvania Turnpike in Bucks County are still closed after an accident involving a tractor-trailer, 6ABC reports. The crash occurred around 11:40 a.m. Tuesday in the eastbound lanes between the Willow Grove and Route 1 (Bensalem/Philadelphia) interchanges. 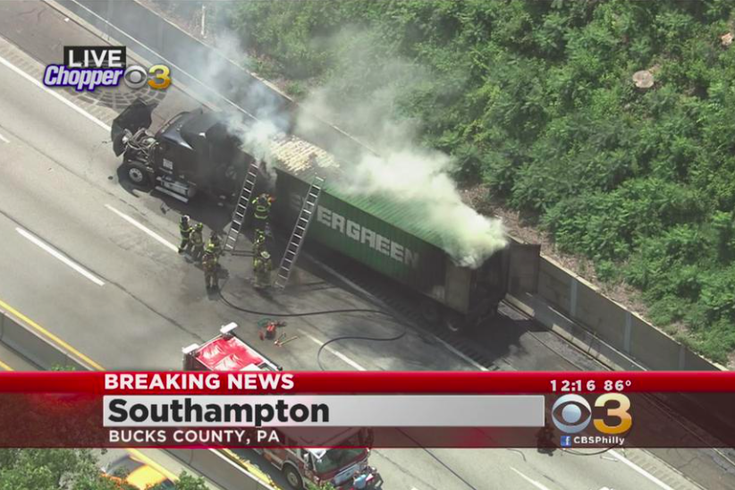 A vehicle collided with the tractor-trailer, causing smoke to rise from the truck. The lanes were still closed around 6 p.m. Backed up traffic was let through a left lane, but other traffic is still being diverted. Minor injuries were reported, and rescue crews are still on the scene.